Will you buy an Electric Car? CS. Desperate times need desperate measures. After today's horrific existing home sales numbers and Charles Nenner's call for Dow at 5000, we cannot simply stand by. Our cash alone will not support the markets for the long time and even our ideas about saving the world can fade away in kerosene light of the writers crying about polluting electric cars and that "nobody will buy them anyway." Obama calls for action, but the financial situation of the state is a hair breadth's away from desperate. The middle-class, the backbone of our society, barely survives during this recession. FED will not be able to hold the economy for long, with oil above 150 USD/barrel: Twitter, Google and iPhone with iPad are only very nice after a good breakfast and when you can look forward to lunch. 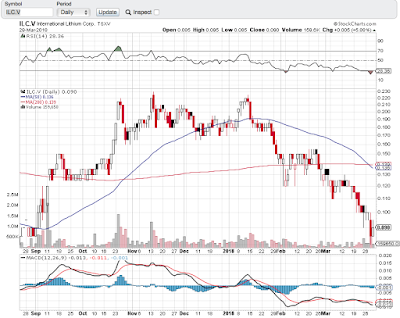 Will we have to roll back into our cave of Gold and Silver? There is only one way to bring Electric Cars in a mass market fashion, beat the Deflation scare and start a new industrial revolution in U.S.: we still have a chance to stay at least on par with China, by making the Electric Car cool. Time for a letter to Steve Jobs. There are a lot of predictions about how many people will consider buying an Electric Car. 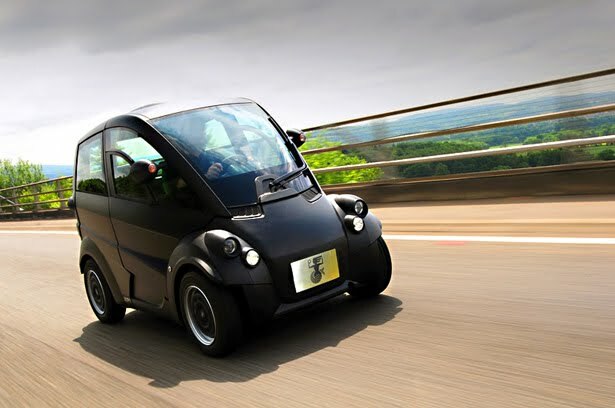 As we have mentioned numerous times, nobody knows for sure about the future for our Next Big Thing, but we think that we know the answer to how to make the adoption rate for Electric Cars much closer to the one of mobile phones or iPads, rather than the one of washing machines. 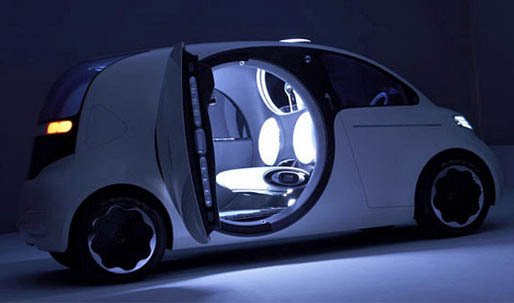 All we need to do is ask Mr. Jobs to make an Electric iCar. "The car is the second largest purchase after the house for the middle-class. It is never really an investment in contrast to the house (according to the logic before the Crash - a house was an investment). Electric cars allow to sell the second biggest item in the household "second time". Family gets an instant cash flow adjustment with electric cars economics: 2.5 cent cost per mile against 12 cents in conventional vehicle (CV). The government gets the opportuinity to send money to consumers to fight the Deflation Death Spiral and take it away into the value food chain, hopefully belonging to the domestic production cycle. The way of doing it - stimulus for production in order to bring prices down, like today, and direct Tax Rebates on purchases of EVs - which are already in place. With the GM Volt battery strategy, the price for EVs will quickly reach the same level as for a CV, and in this situation the Electric Car could become an investment in the household balance sheet as it will be producing "an alternative income" relative to cost of ownership of CV. Here is our "adjusted" cash flow. Third, why do we think it could happen at all? 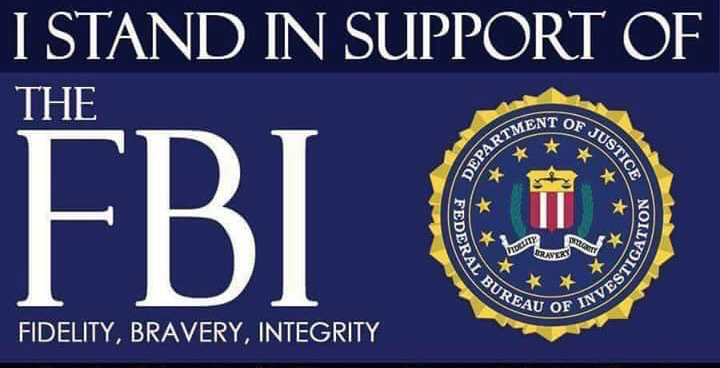 About it Obama, here." Apple, with its unique proposition of lifestyle social-status marketing products, with almost perfect utility function, has the ability to dramatically change the way how we consume mobility. It is time for a real change and we all have an opportunity to capitalise on this dramatic technological shift. 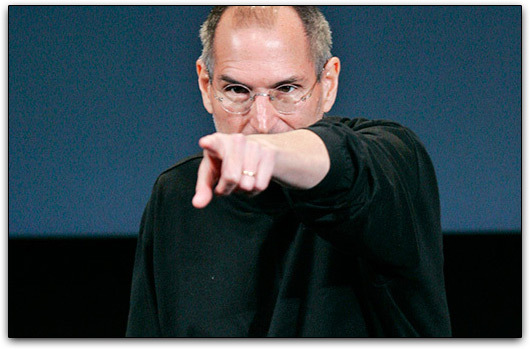 We are inviting Steve Jobs to the Green Mobility Revolution, transformation technology and disruption in the huge market place. The ideal market situation for the new disruptive technology to create a lifetime investing opportunity is when the Demand for product or service is already there and you are able to deliver it in a new way, which will be more appealing to Existing consumers of this product or service. You have a dramatic shift in consumer preference and you are gaining a market share in a tidal wave fashion by shifting consumers from existing providers to the new product or service place. You do not have to teach the market and prove that they need this product - you just need to prove that the new technology you are putting in place is viable to deliver the Better Experience. We have always loved our music. Sony made a Revolution in the way we consumed music with its Walkman - we were able to take our music with us as we went. CDs made the quality of music more appealing and record companies sold us our music one more time. Steeve Jobs made another Revolution by providing the means to consume what we exactly want with iTunes and means to Store and Retrieve All Our Music as we go - in iPod. He sold us the music we already had and we were happy to buy it. He brought us a new Experience of how we consume the same music: it is convenient, easy, searchable, high quality and with us - all of it. We have moved in droves to the new source of joy. Apple has managed an even more difficult trick with mobile phone: the iPhone has stormed the market without a single unique function not available on the market at that time. The key is the ultimate design and functionality which became the marketing product indicating your social status. And our music is again with us here. Only those who remember the Palm can understand our joy here. Will our children be taking Electric Cars for granted as well one day? 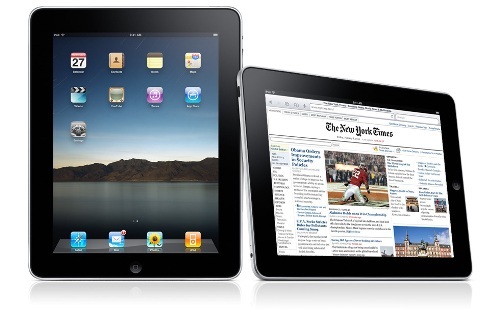 For the first time we have all we need under our fingertips with the iPad. It already changed the way we consume newspapers, books, magazines and access the web. Applications are providing a relatively cheap, focused software for the individual's particular need. We must admit that we still have to buy an App - so far everything we use is free. Will it make Windows obsolete one day? With Electric Cars, all market estimations that we saw so far (apart from the quote from Warren Buffett) looks like a drop in the bucket at a time. Will it be 2%, 5% or 10% claimed by Nissan in 2020? It's not a Revolution - it is like a tea party. We dare to differ and think that Electric Cars will provide to us a new Experience how we consume Mobility: energy efficient, environment friendly and cheaper with all cost accounted. And yes - they will sell us our cars one more time, this time in an Electric version. Is it bad? No, not at all if you will be investing in Electric Cars value chain. 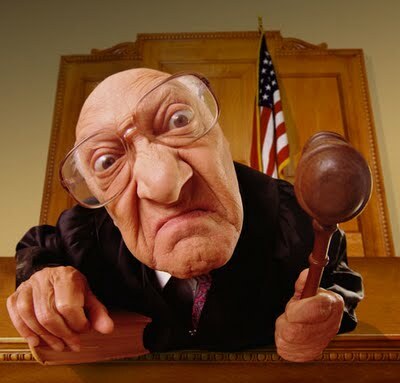 Even if you not, we will all gain from it more than from iPods - after all we have never heard about somebody being killed by CD, but those who still do not believe that cars pollute and kill our environment - therefore us - can try to breathe from an exhaust pipe for a while to be sure. We expect consumers to shift - on a mass scale - from CVs to EVs, with proof that technology is viable and can provide the same utility but with a Better Experience. The Emotional Drive will be the driving force of this switch of consumer preferences. 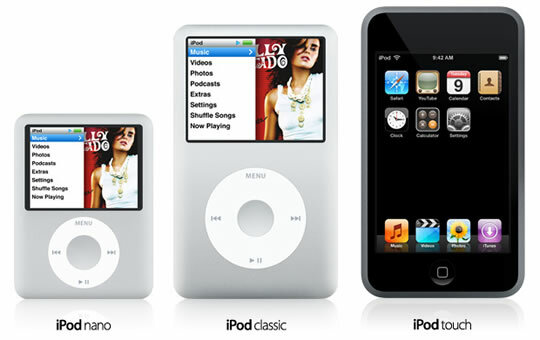 And here is where the almighty Steve Jobs and Apple can drive our hearts to open our wallets even during the recessions. 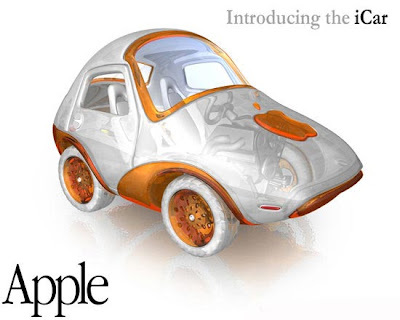 Everything is already produced by OEMs anyway: we need Apple just to make it cool to drive an iCar, to make the iCar design and its functionality with Steve Job's signature attention to the detail. All particular auto functionality could be outsourced inside US: batteries, software, power train and auto safety. 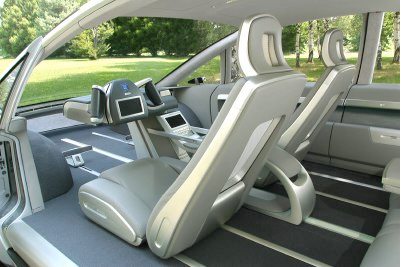 Something like J/V with established automaker will do the trick in order to achieve mass production. We think that automakers will be standing in line just to be involved. Is this just confined to our dreams? 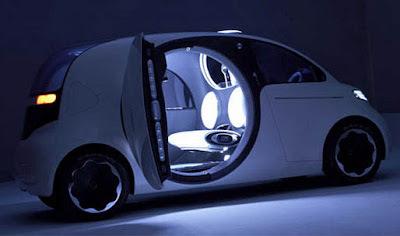 We're not so sure: we have already found a few rumours about an iCar and even this picture below. 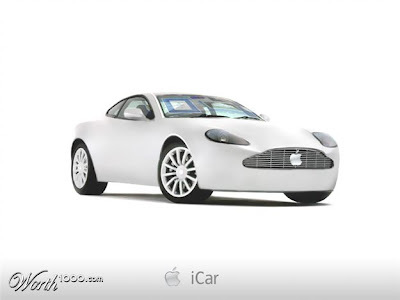 We will appreciate if somebody can drop a line with any information on the iCar, its potential design or Steve Jobs' mobile number or email. 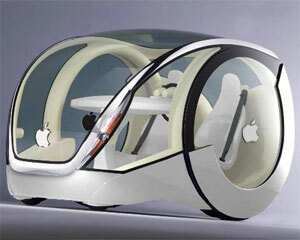 Could an Apple iCar be down the road? 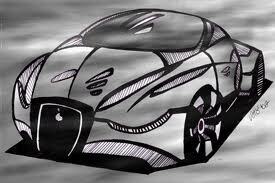 Maybe EV iCar is already in the making and our idea about Electric Car from Apple it is not so stretched after all? Should Apple Get Into the Car Business? 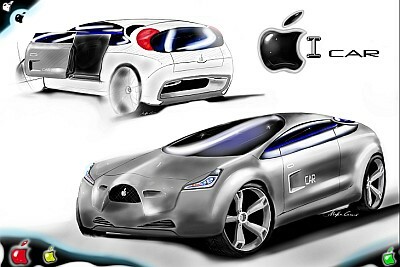 iPod, iPhone…iCar? 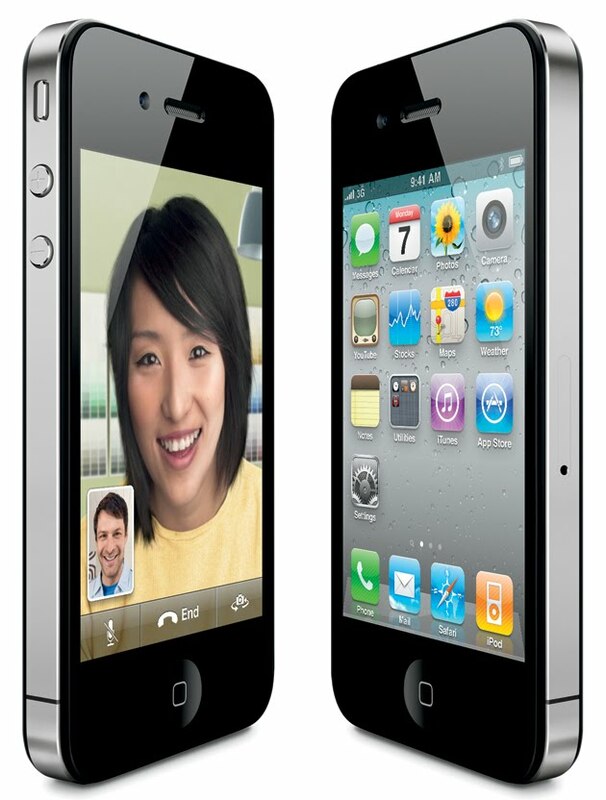 What’s Next for Apple?